There is a story (seemingly from a former executive) that whilst at an offsite retreat where Amazon’s senior staff had gathered, some of those staff suggested that employees of the company needed to start communicating more with each other. Jeff Bezos apparently stood up and declared to all in the room: "No, communication is terrible!". Bezos was referring to the potential for over-burdensome communication to slow everything down. Yet many managers at many large organisations still loudly advocate the need for more communication. It’s the kind of rallying cry that very few others will disagree with. The kind that feels like it is just what is needed to solve a broad range of internal issues that need attention. 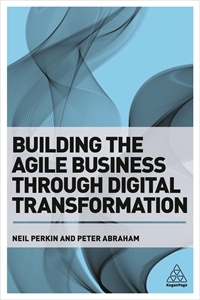 I've written before about the power of small teams, and am fascinated by their potential for bringing greater agility and speed of delivery to organisations, and also for generating significant change. But this is not just conjecture. There is plenty of research into how small teams can do this, some of which is summarised by Janet Choi in this excellent blog post on the subject. Janet draws on the work of J. Richard Hackman who was Professor of Social and Organizational Psychology at Harvard University to make the point that the issue with larger teams isn’t necessarily the size of the team itself, but the number of links between people. “For these reasons, individuals from various constituencies may be appointed to a team one by one, or even two by two, creating a large politically correct team - but a team that can find itself incapable of generating an outcome that meets even minimum standards of acceptability, let alone one that shows signs of originality." Janet also mentions research conducted by Bradley Staats, Katherine Milkman, and Craig Fox (The Team Scaling Fallacy: Underestimating The Declining Efficiency of Larger Teams) showing that larger team sizes can lead to overconfidence and an under-estimation of time needed to complete tasks. One experiment conducted by the researchers set different groups the task of building the same Lego figure. In spite of the fact that the larger teams were almost twice as optimistic about how long they’d take to complete the task, four person teams took 52 minutes whilst two-person teams took only 36 minutes. It’s tempting in digital transformation to think that since the outcome is so important and speed (in delivery of transformation or digital development) is often such a factor, more people will lead to a greater chance of success. But we underestimate the increasing burden of communication at our own cost. Small, nimble teams can achieve amazing things. So rather than throw numbers at a problem, ask yourself this - what's the smallest number of people you can put together to achieve a result? It's likely to be less than you think.